CDARS, short for Certificate of Deposit Account Registry Service, is an easy and convenient way to take full advantage of FDIC insurance on deposit amounts exceeding $250,000. If you invest in certificate of deposits (CDs) and wish to remain below the insurance limits set by the FDIC at your local bank, the CDARS program can help. The program allows investors to deposit money into different banks without having to go from bank to bank to deposit funds. CDARS is offered in all 50 states, as well as Puerto Rico, the District of Columbia, and Guam. CDARS is comprised of a network of financial institutions. When you place a deposit with a network member, the institution uses the program to place your funds into CDs that are issued by other members of the network. Your funds are then spread across several banks to ensure that both the principal and interest are eligible for FDIC insurance. This means that even though you are working with just one bank, you are still receiving coverage from many institutions. Along with working with a bank you trust, you will receive just one consolidated account statement regularly. Getting started with the CDARS program is simple. First, you visit your local FVCbank branch where you will be asked to sign a CDARS Deposit Placement Agreement, as well as a custodial agreement. You can then invest funds with a member of the CDARS network. Your money is placed using the program and your CDs are issued by members of the program’s network. Shortly after, you will receive confirmation of your CDs from your financial institution. FVCbank will also provide you with regular consolidated interest payments and statements. While your CDs may be from financial institutions all over the country, your funds can still be used locally. This is because CDARS network members swap deposits on a dollar-for-dollar basis, ensuring that the same amount of funds that are placed through the network are returned to your financial institution. This means that your original deposit amount is able to remain in your financial institution and be used by you locally. How Does CDARS Benefit Businesses? There are multiple reasons why businesses choose to invest funds in the CDARS program. 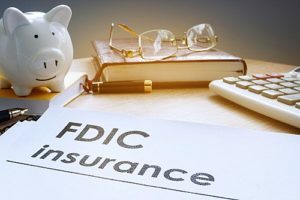 One of the biggest benefits is the ability to combine the convenience of working with just one bank with the security of having access to FDIC insurance exceeding $250,000. With the program, investors have access to millions of dollars in FDIC insurance on low-risk CD investments. Each CD investment contains one interest rate per maturity which can be negotiated at the time of deposit. There are also no hidden fees including annual fees, transaction fees, or subscription fees. The rate you agreed on is the rate you will receive. The program also comes with other benefits, such as no ongoing collateralization. 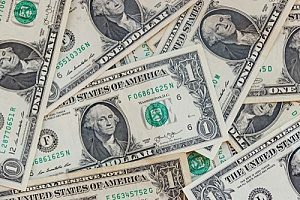 As CDARS deposits are eligible for FDIC protection, it may not be necessary to collateralize your deposits. This eliminates the need to routinely track changing collateral values. In addition, you have ample control over your investment. Just like standard CDs, your CDs in the CDARS program come with a range of maturities. Select from maturities ranging from one month up to five years. Choose the terms that best fit your unique investment needs and short-term and long-term goals. CDARS is one of the safest options for investors who want to protect their investments while continuing to earn interest rates only possible with CDs. Investing in the program can be a wise alternative to U.S. Treasuries, and like Treasuries, CDARS is backed by the U.S. government. 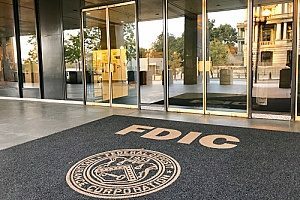 You may be worried about how the FDIC feels about such programs. Fortunately, the FDIC not only acknowledges the deposit placement service but has even encouraged it at times. The CDARS program has been thoroughly tested and the service is recognized by both FDIC regulations as well as in state statutes. The CDARS program can be a valuable cash management tool for your business for both short-term and long-term investments. The one-stop shopping resource allows you to keep your money safe and secure with FDIC coverage, while still having access to CD investment amounts over the specified limit. The program is also one of the most convenient, allowing you to work with a bank that you trust as you earn a negotiated interest rate and receive a single regular statement from your bank. Another unknown perk is that your money helps support lending opportunities in your local community. With the CDARS program, you no longer have to waste time managing multiple relationships with banks. For more information about the CDARS program or to open a business checking account, contact FVCbank today.